On July 7, Prof. In-Joo Chin, President of Inha Technical College ? and one of BINUS Advisory Council members ? paid a visit to BINUS UNIVERSITY. He met with Iman Kartowisastro Ph.D, Vice Rector Academic Development & Provost BINUS UNIVERSITY, Ms. Lily Manoharan, Director of BINUS GLOBAL, along with a number of BINUS faculty staff member. 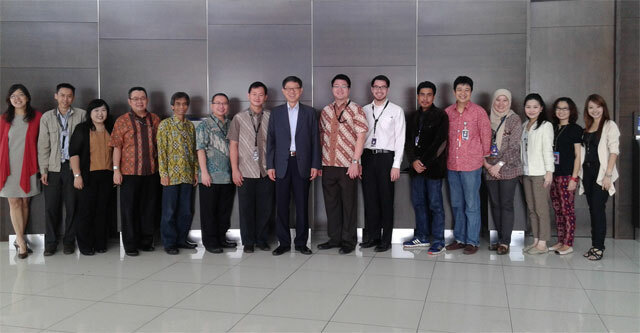 In the meeting, the two sides discussed about further collaboration projects between both universities, particularly on exchange program, in the area of Computer Science, Animation, Game and Interior Design. Inha Technical College was founded in 1958 as an affiliate of Inha College of Technology. In its history of more than half a century Inha Technical College has secured its status as an institution of excellence nurturing the highest quality technical talents in many fields including electronics, mechanics, and aeronautics. The motto of Inha Technical College -?Truthfulness?- summarises its mission to develop its students not only by imparting knowledge but also by instilling the highest ethical standards, enabling them to become both responsible citizens and competent leaders. The college has 24 departments and about 6,500 students. It has established academic exchange partnerships with over 3,000 industrial bodies to promote practical and productive advanced industrial and technical education using the most modern facilities.